When you’re out in the mountains for days, the only thing standing between you and the elements is your clothing. For this reason, a solid, durable, reliable rain jacket can be the difference between adventure and misery. 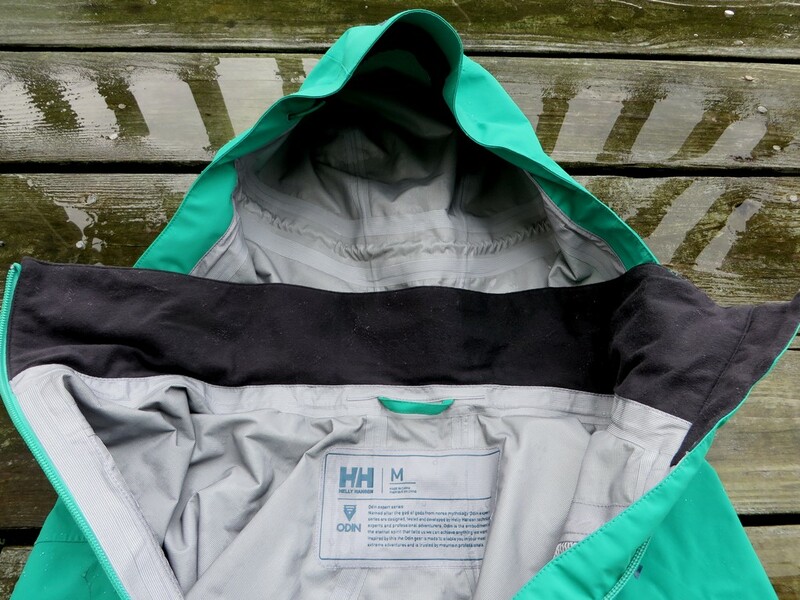 Here we have the Odin Traverse Jacket from Helly Hansen, designed for just such a situation. The jacket is built from a 3 ply waterproof/breathable sandwich of fabrics that comes together to form the Helly Tech Professional laminate. This is also coated with DWR for added protection and repellency. 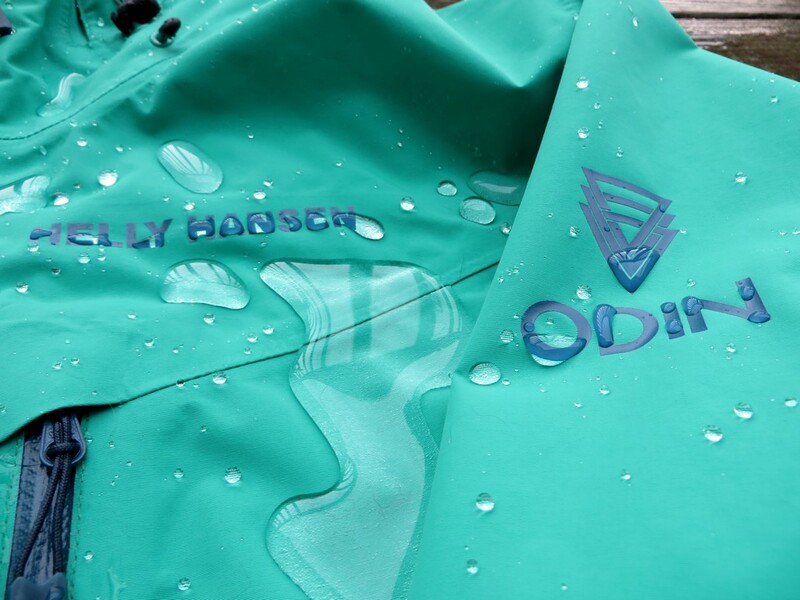 The Odin comes complete with zipped hand pockets, a chest pocket, pit zips, and adjustable hood. Adjustable cuffs and bottom hem help keep water out, along with full sealed seams. Retail is $325. Solid protection is in the description, and it holds true. Instead of relying exclusively on DWR like many thinner jackets, the 3 layer membrane adds a physical barrier to keep out the elements. This works great for extended excursions in the rain, and doesn’t fail when it gets repeatedly packed away or dirty. Breathability is pretty good here too. For a tough jacket, ventilation was handled pretty well. Long, generous pit zips give some instant venting, while the fabric does a good job of releasing heat and some water vapor. The hood holds close when cinched, but can also be adjusted to let some air flow in and around the head compartment. Unique inner fabric. Seems to disperse and remove dampness. The jacket is built with backpackers and hikers in mind, with high hand pockets that dodge the hip belt of your pack. This allows you to access them without removing your hip belt, and allows easy and convenient access to shield your hands when the weather gets rough. Fit is great, staying close to the body but still allowing the use of layers underneath. It’s a pretty standard fit, staying true to size. Care was taken to make the jacket as comfortable to wear as possible, with smooth felt like fabrics around the neck and chin to avoid abrasion (unlike the tiny patch that usually only protects the chin and lip of the user). A smooth yet durable nylon lines the cuffs of the wrist and hips to stop abrasion while also adding reinforcement. Generously long pit zips and deep hand pockets are a nice touch. The cuffs are adjustable, and allow the jacket to stay in place around your hand, and adjust wide enough to support a watch or gloves underneath too. The waist is also adjustable, blocking out gusts of wind on cooler days, and opening up when you need some more air inside. The materials are tough. Very tough. 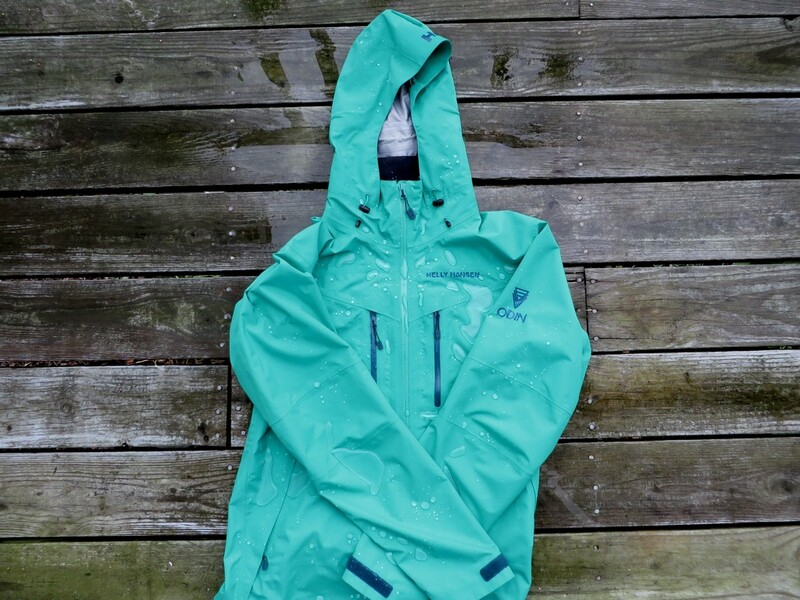 Thick, burly build quality is top priority with this rain jacket, and it pays off. After carrying this thing around for months, indoors and out, packed and unpacked, and in a various range of conditions, it still looks like it just pulled it out of the bag. 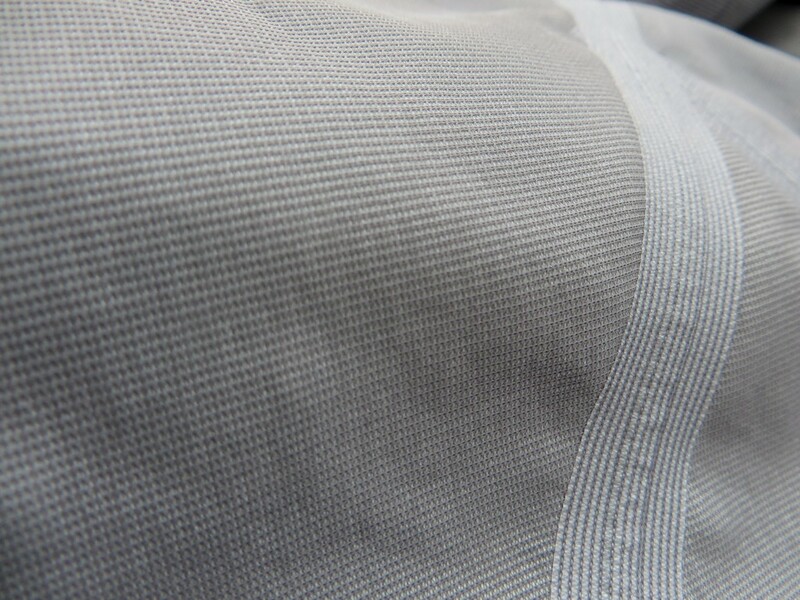 The inner fabric is an interesting, seemingly woven layer with a sort of mesh sewn into the fabric itself. 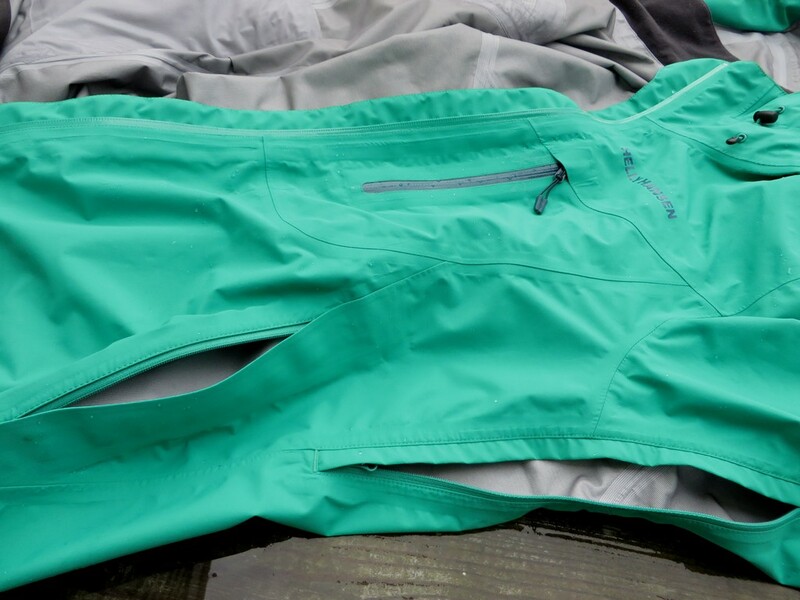 It helps keep down clamminess, and also seems to speed up drying when the inside of the jacket gets damp from hiking. It looks great. Jacket is proud to be high-end, but doesn’t boast about it. Solid construction, smooth seams, and top notch stitching comes through in the general aesthetic of the jacket. Others can see that this jacket means business. It’s a bit stiff at times, at least initially. Not designed for casual, around town use, the jacket is built to withstand tortuous conditions, and this results in a thicker overall construction. Movement isn’t impeded in any way, but it will take some time adjusting to feeling the jacket bend around you if you’re coming from a thinner jacket. It does however soften up over time, and eventually you’ll learn to appreciate the feel. It’s also a bit on the heavy side. Durability has its cost, and this is one of them. While not terrible, it’s a far cry from the fluttery UL jackets that are floating around on the market as of late. It also takes up more space than many jackets, but the payoff is peace of mind and long term usability. The Odin Traverse jacket is built to keep you alive, and keep you comfortable; It does this very well. A sturdy overall build paired with a highly resistant 3 layer water proof membrane comes together to produce a jacket that’s both reliable, and flexible. The wide cuffs, padded chin and neck, and generous venting keep the jacket comfortable and cool. This is a jacket designed to perform, and it achieves that goal. Despite the minor qualms with initial stiffness and a slightly heftier pack weight, the Odin is a great piece of gear that will last a long time. 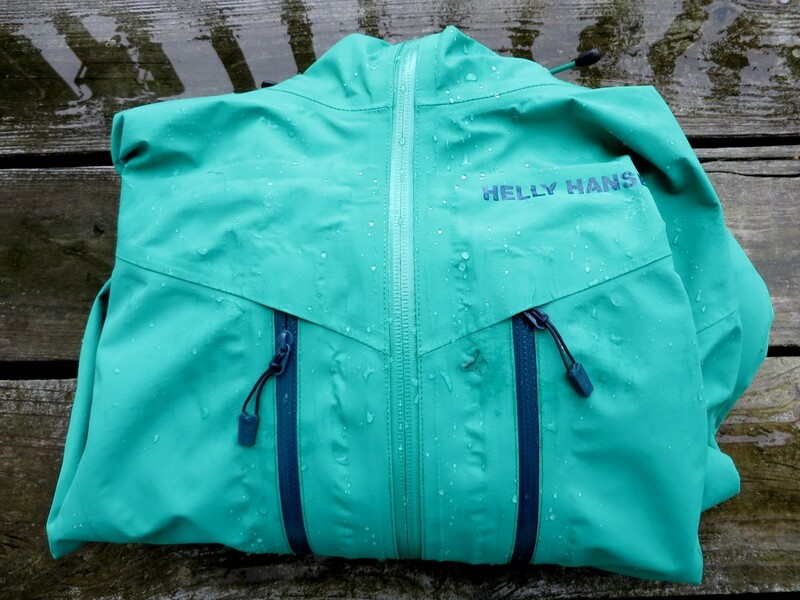 Big thanks to Helly Hansen for providing me this fantastic jacket for review. For more information, visit www.hellyhansen.com. Our disclosure is available on the contact us page. Navitas Naturals. Healthy, delicious snacks.